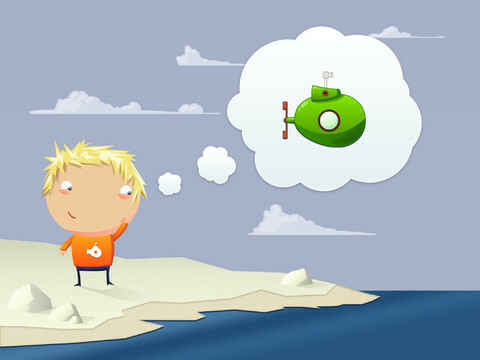 Wee Subs is a children’s creation/adventure game from Wee Taps. Wee Subs is very similar to their previous game, Wee Rockets, which I reviewed here some time ago. 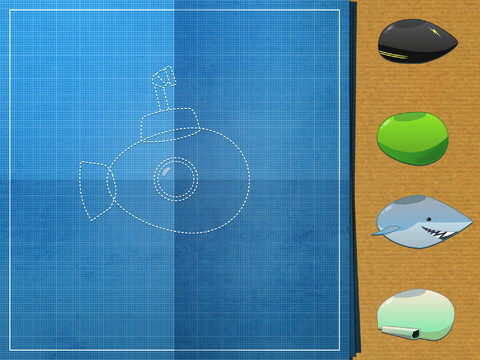 Just like the previous game, Wee Subs allows children to create their own submarines using a variety of different parts. They can either make a matching sub using all the same kind of pieces or create something new by mixing different parts together. There are literally tons of ways they can build their subs, they just have to use their imaginations. 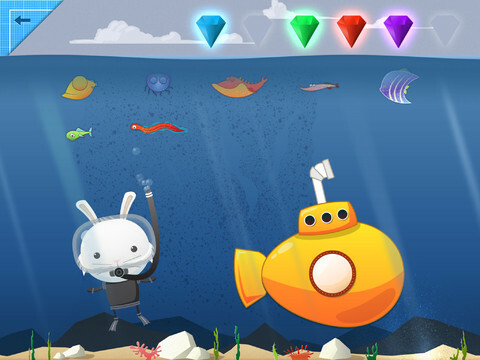 After their sub is completed, they can take for a little underwater adventure and collect fish friends and treasure. Like Wee Rockets, the game is very simple to play. Kids will go through a short building process with their subs and when they are done, they can launch their subs into the sea. Once in the ocean, they can drag the sub around the screen using their finger tips. 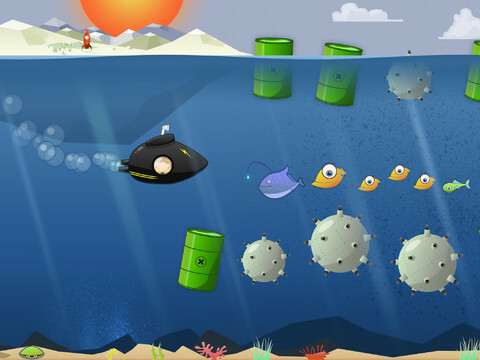 Collect sea creatures and treasure but avoid nasty things like oil barrels and mines. Cross the finish line to tally up what you’ve collected. After that’s done, players just repeat the process again and build a new sub. The game is a bit repetitive, but the kids don’t seem to mind and like building different subs each time they play. Wee Subs is a fun kids game. If your children liked Wee Space, they will also enjoy Wee Subs as they are quite similar in gameplay. 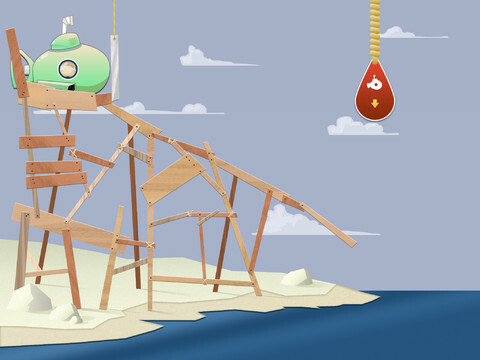 The graphics are cute and the creation possibilities are endless. The mini game is also fun for kids, but young kids. They enjoy the repetitiveness of these types of games. Wee Subs is available now in the App Store for $0.99. It is compatible with iPad. Requires iOS 5.0 or later. Be sure to check out our other app Wee Rockets!